Joe Mixon appears to be ahead of schedule with his knee injury. When the news of Joe Mixon’s injury first broke, it appeared he would miss somewhere between 2-4 weeks. Earlier this week we heard Mixon say that his return would be based on when he felt comfortable enough to return, hinting at maybe a 1-2 week absence. Then, news broke today that Mixon is already back on the rehab field working out according to multiple reports. Joe Mixon is working off to the side with an athletic trainer while the rest of the team does its walkthrough. This hints that Mixon is ahead of schedule and could possibly return after missing just two games. The fact that he is back on the rehab field jogging less than a week after surgery is a very encouraging sign. 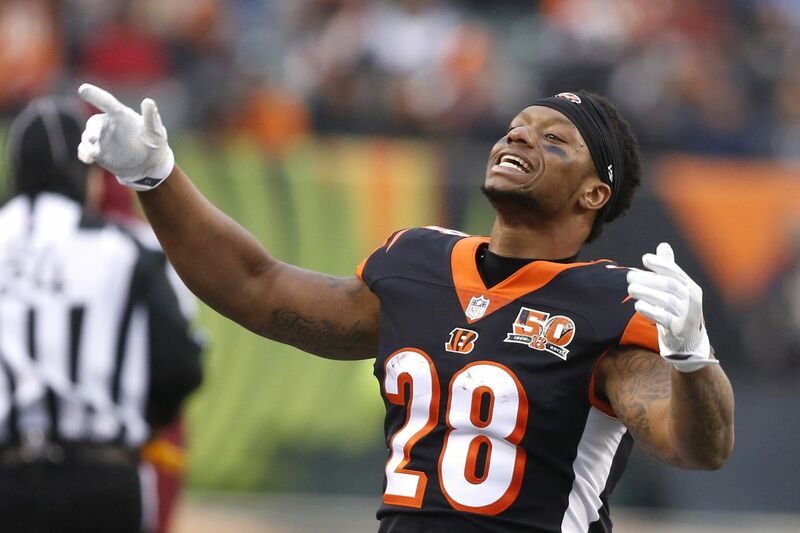 Giovani Bernard is still expected to shoulder the load for the next two weeks, but with these reports, we could see Mixon back on the field as early as week 5 against the Dolphins. Will miss at least two weeks. For now, the Bengals will be without rookie center Billy Price. Bengals fans received both good and bad news on the centers status Wednesday. The good, Price’s injury is not a season ending injury. The bad, he will miss at least two games with the injury. As of now he will miss games against the Panthers and Falcons, leaving him questionable for a week 5 matchup versus the Dolphins. He could end up missing more time once they reevaluate in two weeks. Billy Price said finally figured out what his injury was. Foot, not ankle. Not Lisfranc. He’s in a boot 24/7, then Re-evaluate in 2 weeks. Price was off to a very promising start for the Bengals and you could see his impact in both the run and pass protection. Backup Trey Hopkins will start in his place. Filling in last week versus the Ravens, Hopkins gave up just one pressure in 36 pass blocks. A nice effort against a tough Ravens defense. Hopefully, Hopkins can continue to play at a high level in Prices absence. A crushing blow none the less after hearing of Mixon’s injury earlier in the week. The next two games will be a big test to see how this new look Bengals team can adapt to this adversity. Please follow me on twitter @Pierson242FF. Who Dey!